Hola guapas, con este frío solo me apetecen jerseys calentitos como éste de la nueva colección de Zara. Unos jeans, un buen abrigo y unos botines hacen el resto. Hi there! I just want cozy sweaters like this one from Zara's new collection for cold days. 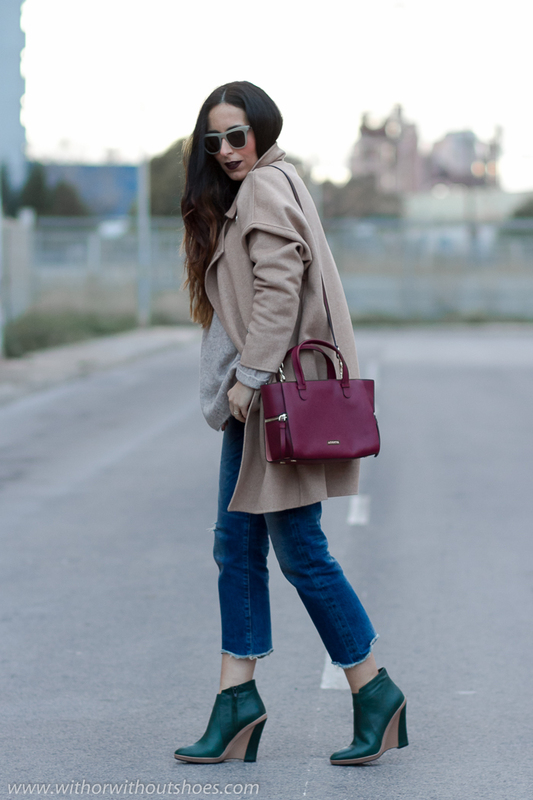 A pair of jeans, an awesome coat and a pair of ankle boots do the rest. Los botines son los que os mostré hace unos días, súper originales con cuña en color verde de la firma Monica Stalvang y me encanta como combinan con el color burgundy del bolso. Además también he optado por dar un toque en este tono a mi maquillaje, con los labios de un color vino oscuro ideal. The booties are the ones I showed a few days ago, which are super original with wedge in green color by Monica Stalvang and I love how they work with the burgundy color of the bag. In addition I have also chosen a touch in this tone for my makeup, with dark wine color on my lips. très joli, j'adore ! beautiful !!! Love your boots. So cool. Love this outfit and great photos! ¡Que gracia tienes con los zapatos y los complementos! Estás muy guapa. Guapísima como siempre!! los botines son muy chulos!! Me chifla la combinación de granate y verde. 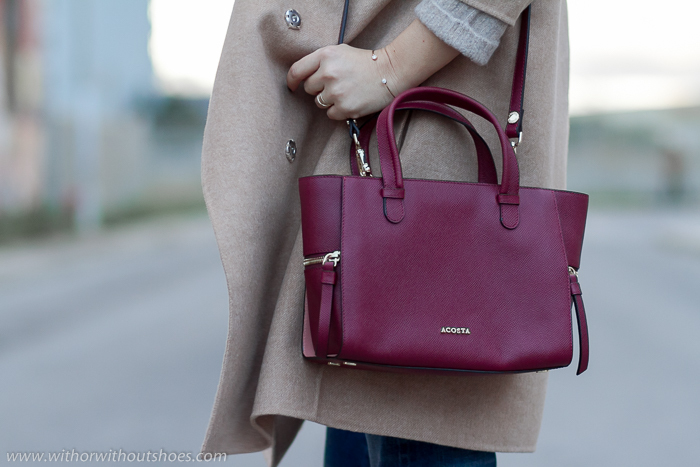 I adore your bag, such a nice color. 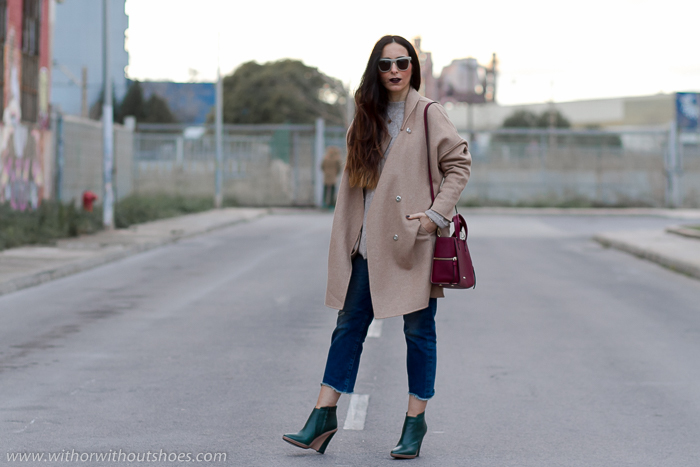 Me encantan los botines y el abrigo es ideal! Un besazo bella. This look is stunning! I love your green boots!